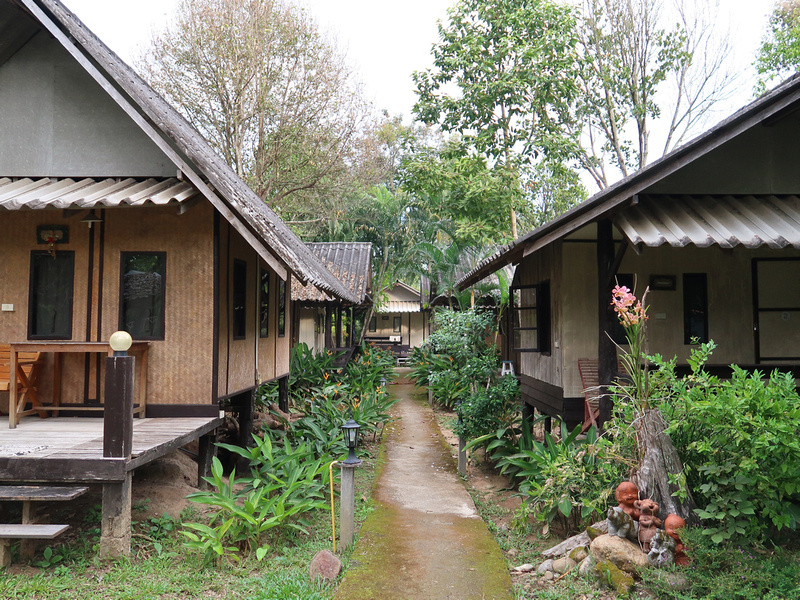 Address: 212 Moo 1, Pai, Thailand. 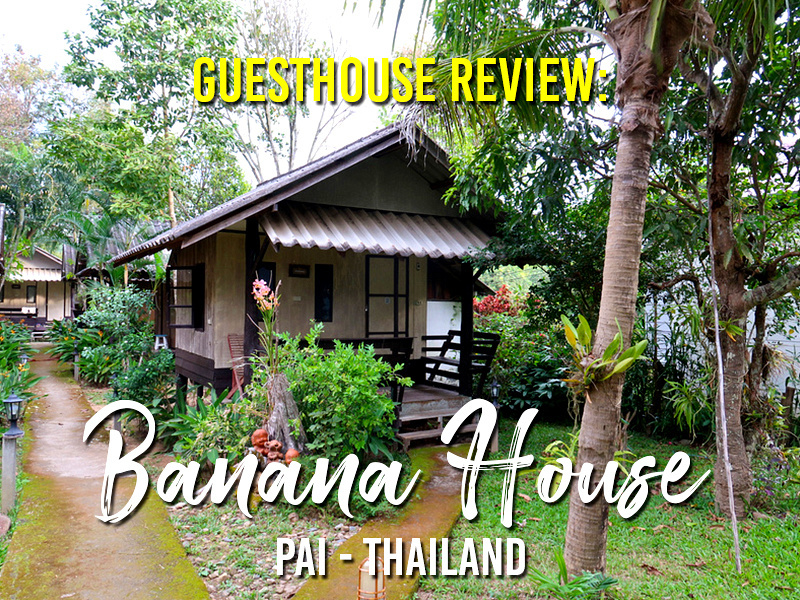 I stayed at the Banana House in Pai, Thailand. 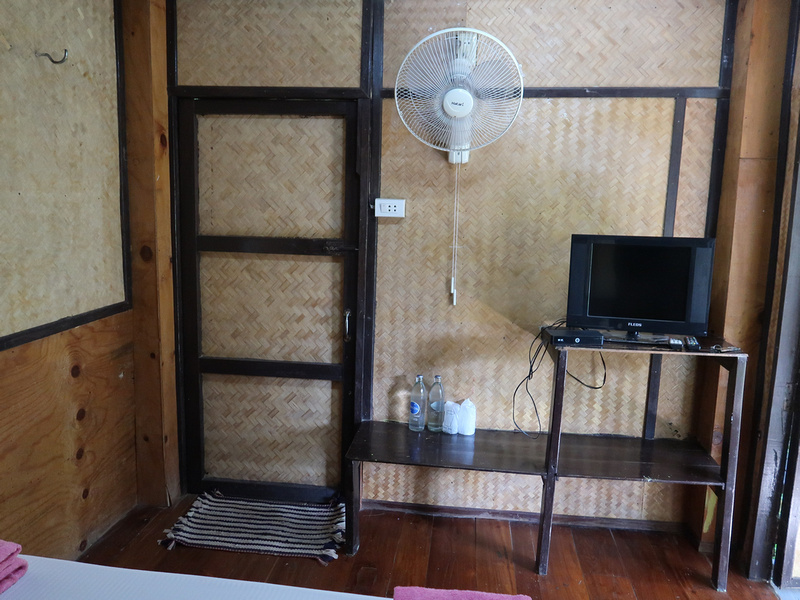 When I booked I didn’t know anything about where to stay in Pai so I just booked something that looked close to the town centre. I picked the Banana House for it’s price and location. 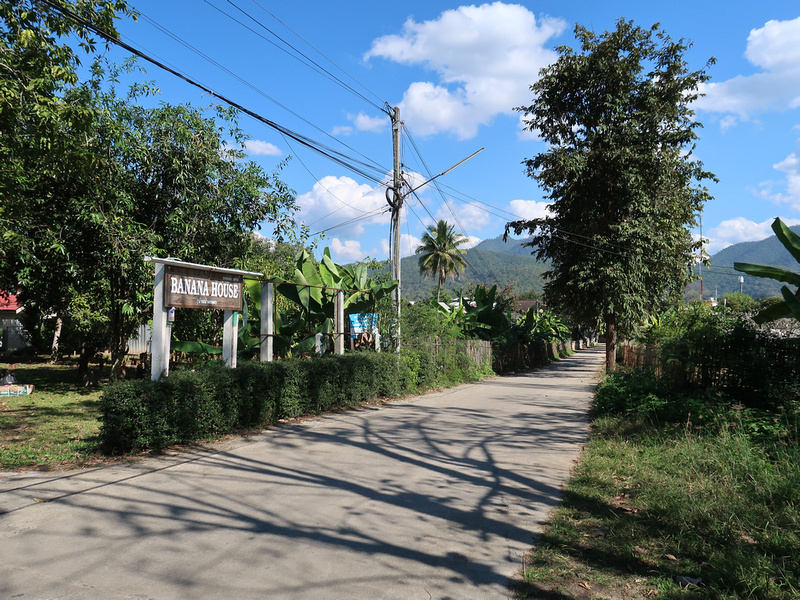 The Banana House is in Pai but away from the main tourist streets. If you are in the town then pretty much everything is walkable, but if you want to stay in the backpacker area then this isn’t it. I preferred staying here as it gave me a perspective of Pai as an everyday working town, and not just a backpacker hub. I don’t know how I would have found it without Google Maps as it is down a little side street and then on an unmarked property. 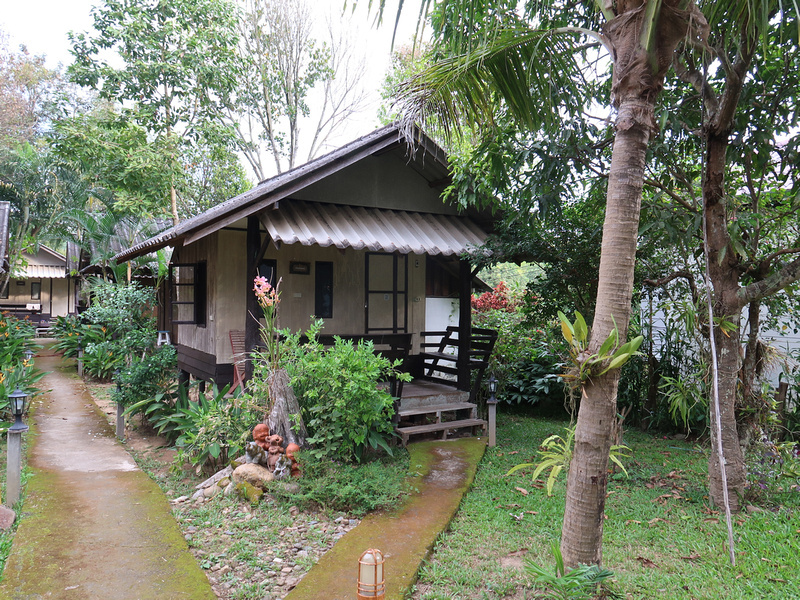 The Banana House is all bungalow-style accommodation, set in a tropical garden. The bungalows have a front porch with tables and chairs where you can relax outside. I got a double room with private bathroom and fan. The bed was comfortable and the room was bright and spacious enough. I prefer a fan over air conditioning, and the fan was enough to keep the room cool. It can get cold at night here, which the extra blankets suggest, but it was comfortable during my stay. There is free wifi here, and I had no problem connecting from my bungalow. I checked this before I booked, because sometimes these bungalow accommodations don’t have wifi across the whole property. 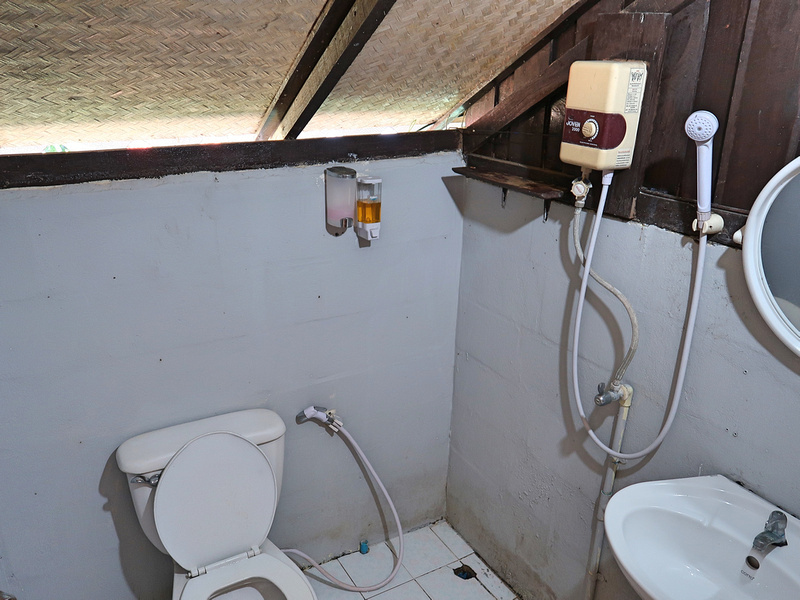 The bathroom was attached to the bungalow and it had an instant hot water service. It could have used some hooks or more space to place toiletries. 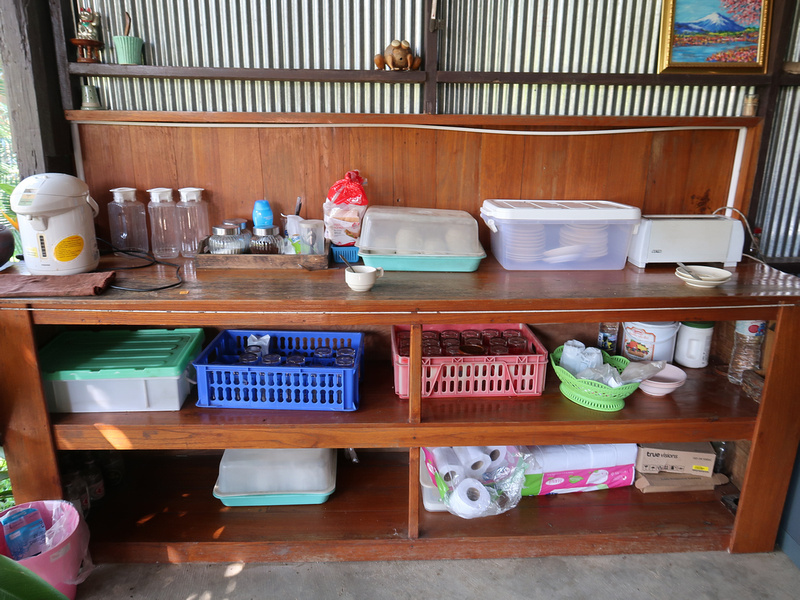 There is tea and coffee making facilities at the reception which had a little common area. Overall this was a good place to stay if you are looking for a cheap private room. It’s nothing fancy but it’s a good alternative to staying in a hostel. 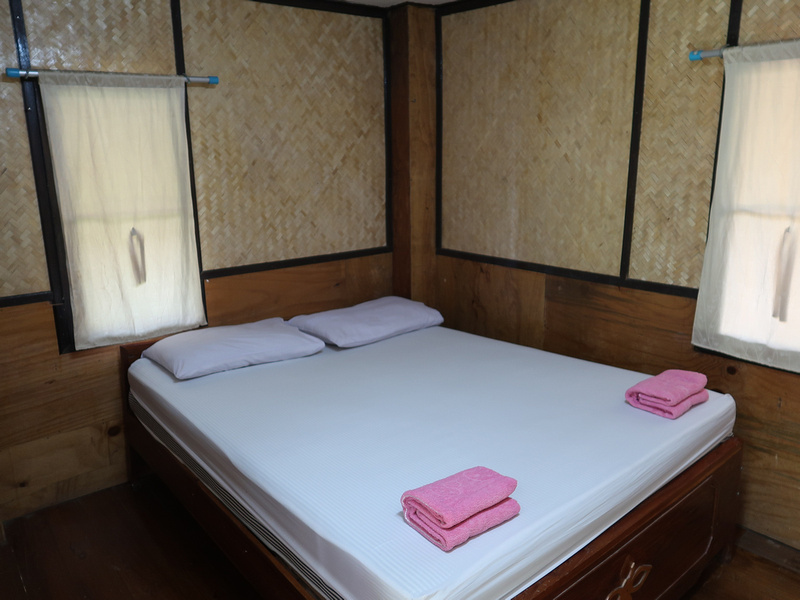 Book the Banana House online or search for more hotels in Pai.